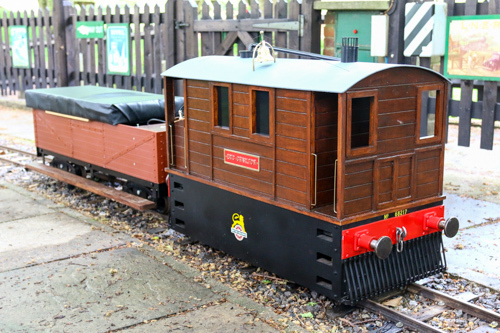 The design of this 0-6-0 battery-electric loco is based on the popular BR class 08 shunting engines found all over the UK, but is painted and numbered as one of the ex-SR class 12 shunters. 66297 is a very detailed scale model of a Class 66 diesel even fitted with realistic sound effects. 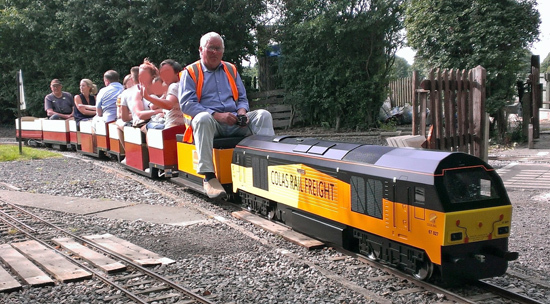 Painted in the bright Colas rail colour scheme this detailed model has been proven it'self to be very useful. 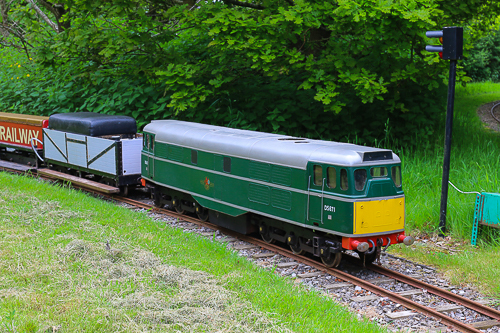 Based upon the well known brush Type 2 locomotive, BR Class 31, this Battery Electric locomotive models the A1A-A1A locomotive in its BR Green era. 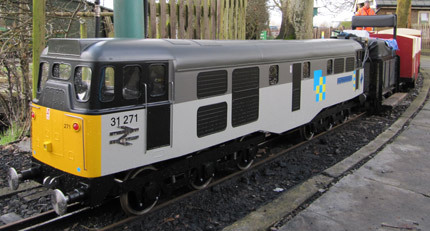 Based upon the original 1962 design, this model of the BR Class 73 Electro-Diesel started life as dual powered - Battery Electric, and Petrol mechanical. 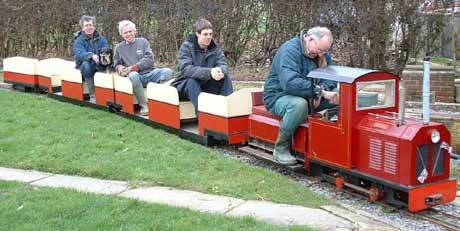 This locomotive is a bespoke build based upon an LNER J70 tram locomotive as used on the Upwell & Wisbech Railway. 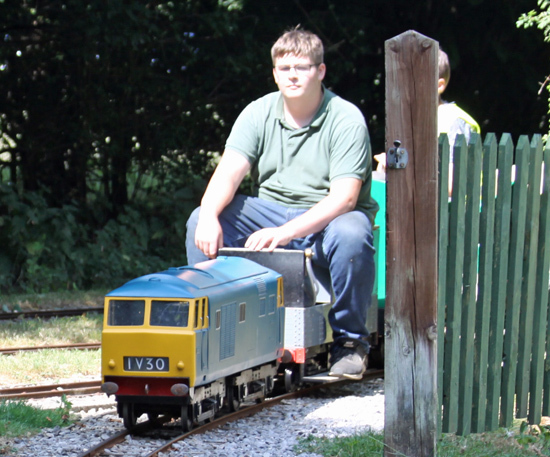 The BR Class 35 mixed traffic locomotive (known to most as Hymeks) were originally built with hydraulic transmission. 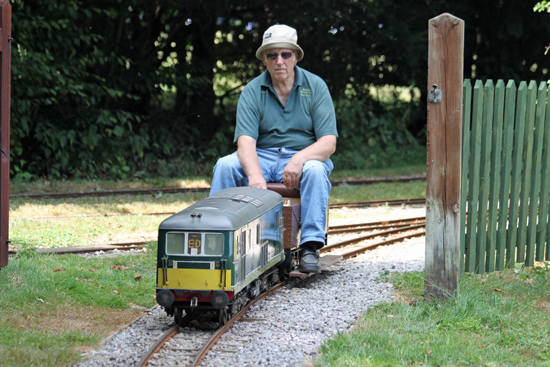 The model seen at Bentley was built by Compass House. Lady Helen came to Bentley as a Petrol-Mechanical long wheel-base 4 wheeled tram, before being re-engineered as a battery electric. 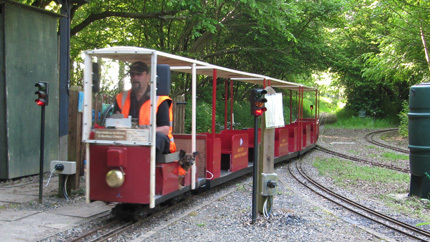 It is now formed as part of our 5-car tram fleet. 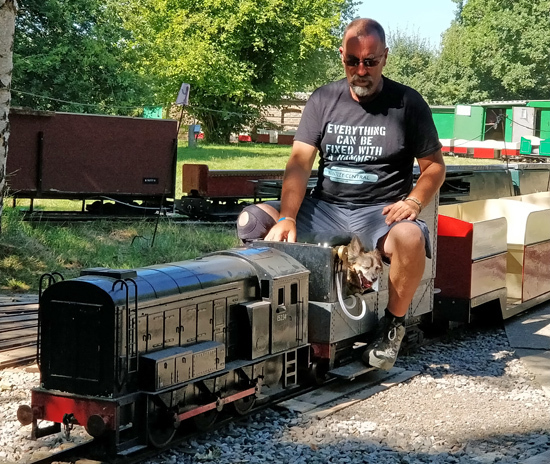 Lewes Castle is a freelance design 0-6-0 battery electric locomotive designed to similar aesthetic appeal as that of many light industrial quarry style locos. 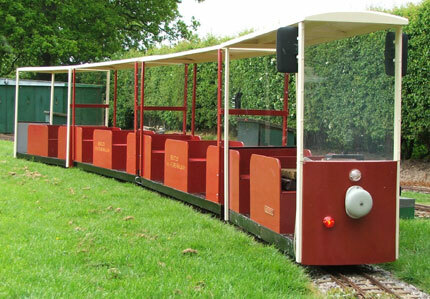 Originally built as a Battery Electric unit to match "Lady Helen", this unit is now formed in part of our Tram fleet. 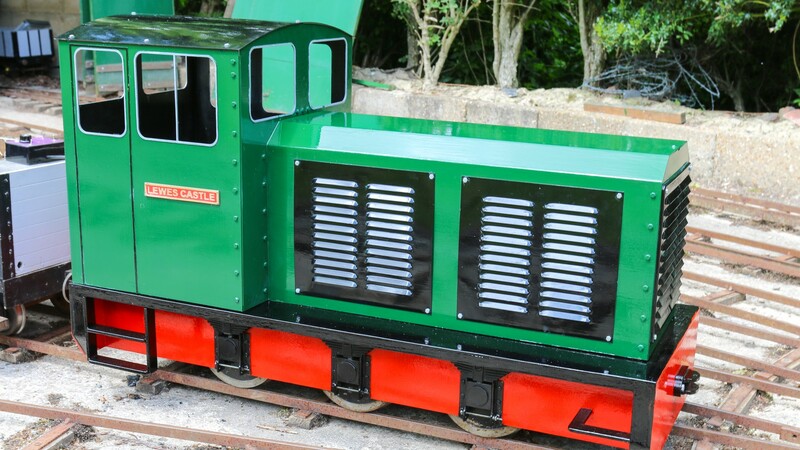 A freelance design engine, based upon a typical industrial design, Rachel is a petrol hydraulic 0-4-0 locomotive. 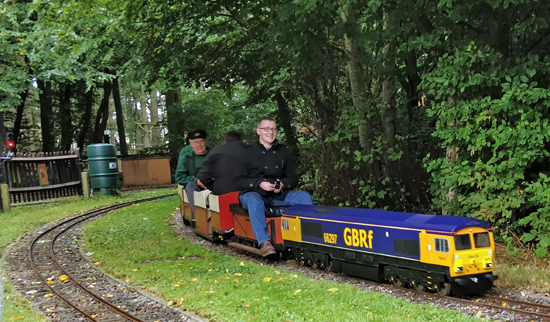 Based upon the well known brush Type 2 locomotive, BR Class 31, this Battery Electric locomotive models the A1A-A1A locomotive in its BR Railfreight era. 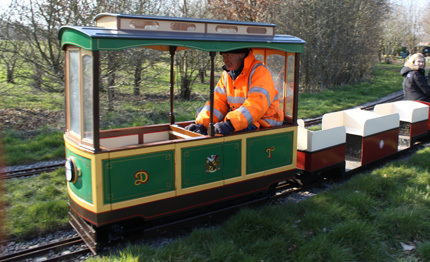 Tram 92, is a Battery Electric single car, self contained unit. Its design is such, that younger passengers may sit up front in the drivers chair, and dream about driving their family round the track.